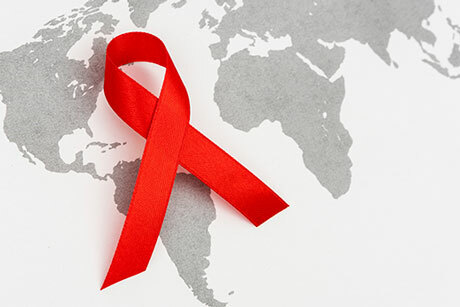 Emory physicians, scientists, and educators have played a key role in HIV/AIDS from the earliest days of the epidemic. From inventing some of the most successful HIV/AIDS drugs, to developing and testing promising vaccines, to conducting numerous clinical trials of drugs and vaccines, to leading behavioral and prevention research, to treating and counseling thousands of patients, Emory has been a local, national, and international leader. In 2017, Action Cycling Atlanta hosted its 15th annual AIDS Vaccine 200 to benefit AIDS vaccine research at the Emory Vaccine Center. More than 200 cyclists participated including Joshua Saunders who, only six months prior, underwent quadruple bypass surgery at Emory Saint Joseph's Hospital. Dr. Bijal Shah of Emory University School of Medicine describes her entry into medicine and her work at Grady Memorial Hospital, where she pushes for routine HIV testing. "In 2006, the CDC actually recommended that all patients in acute care settings ages 13 to 64 be tested for HIV, regardless of their chief complaint or risk profile," she says. "I had the opportunity to make routine HIV testing part of what we do every day at Grady." A video where one of the Principal Investigators of the Emory-CDC HIV/AIDS Clinical Trials Unit, Dr. Jeffrey Lennox, is explaining the process by which a class of medication called histone deacetylase inhibitors can potentially help lead to a cure for HIV and how studies conducted worldwide, including at Emory University, are investigating the use of this medication for such purpose. HIV/AIDS has a disproportionate impact on the African American community. In this video Emory's Drenna Waldrop-Valverde, PhD, describes the situation in the United States as well as a new grant that will further research into the field. Waldrop-Valverde is an Associate Professor in the Nell Hodgson Woodruff School of Nursing as well as an investigate with Emory's Center for AIDS Research (CFAR).